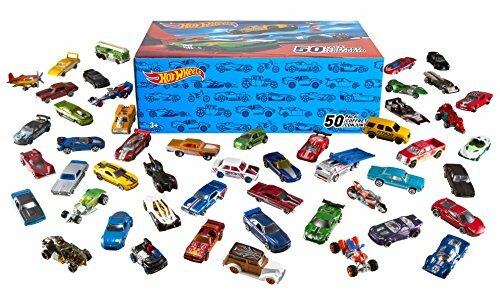 Cardboard Storage Box: The only minor negative with the Hot Wheels Basic Car 50-Pack is the storage box being made from cardboard. While it’s sturdy and functional, it would have been nice to have the cars delivered in a higher quality plastic or metal storage case. The Hot Wheels Basic Car 50-Pack is one of the best deals you’ll find from this brand. However, it’s not just the low price per car which makes this set great value. The range and quality of the vehicles is amazing, and they’ll last for many years. If your child loves toy cars, the Hot Wheels Basic Car 50-Pack is the perfect purchase for them.